Sandie Lampie’s Saturday Pet Patrol welcomed guests from Canine Companions for Independence to talk about the upcoming Walk’n Roll DogFest. 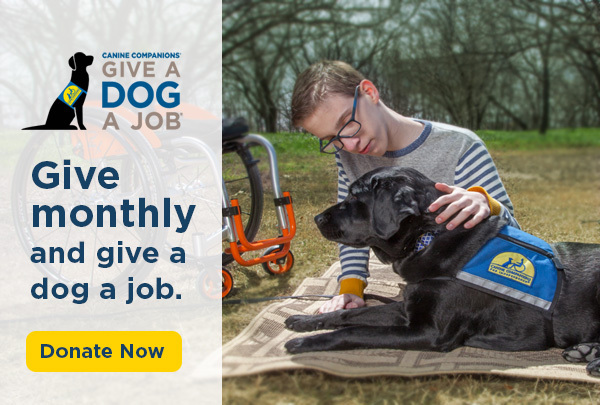 Canine Companions for Independence is a nonprofit organization that provides expertly-trained assistance dogs to children, adults and military veterans with disabilities. 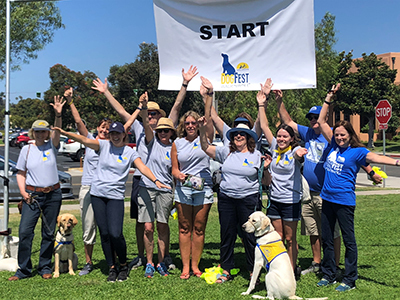 Established in 1975, Canine Companions has six training centers across the country, including two in California, one in Florida, Ohio, New York and Texas. Canine Companions is recognized worldwide for the excellence of its dogs, and the quality and longevity of the matches it makes between dogs and people. Although the price to raise, train and provide ongoing support for the dogs is estimated at $50,000, they provide assistance dogs free of charge to recipients. Stacy Haynes is the public relations and marketing coordinator for Canine Companions for Independence’s Southwest Region. Liz Connors is a volunteer puppy raiser, who is currently raising Mulberry. Volunteer puppy raisers provide specially-bred puppies a safe home, take them to obedience classes, serve up a healthy diet, provide socialization opportunities and give lots of love. Each hour spent caring for a Canine Companions puppy is vital to its development as a future assistance dog. The puppy raising program provides a unique opportunity for volunteers to assist with our very important mission. Puppy raisers care for the puppies from about 8 weeks old until 18 months old, and then they are turned in to professional training. Jason Gackstetter is the recipient of Skilled Companion dog Taran. Skilled companions are trained to work with an adult or child with a disability under the guidance of a facilitator. A facilitator is typically a parent, spouse or caregiver who handles and cares for the assistance dog, encourages a strong bond between the recipient and the skilled companion dog, and is responsible for the customized training needs of the dog. Jason’s parents, Tim and Nancy, are the facilitators for this team. Tim is also a Southwest Region board member. This article is from KUSI.com.